A couple of years ago our whole team took a once-in-a-lifetime jaunt to the island of Crete. This year we head back to the land of the Minoans on a reconnaissance mission to scout the best places to live on the island. Here’s a look forward to Orthodox Easter and a rebirth and renewal of many things. I sincerely hope that readers will help us make the best decisions for this trip and our Chania accommodations too. After all, Crete is a very large island. By way of a brief, back in March of 2014 authors, editors, photographers, and friends met at a Metochi Villas in a charming hamlet not far from Platanias in western Crete. I’ll never forget our first trip to incredible Crete, and I never tire of telling the story. Since then we’ve recounted a hundred times the magic only visitors to Greece’s biggest island can understand. Waking up under the crispest sheets on Earth, turning over to peer out from a suite at our friend’s Lato Boutique Hotel, out into the spiraling depths of the Cretan Sea – words cannot grip that moment I tell you. But I try. Me and my lifelong friend Johnny Courson background) at a winery in west Crete. Driving a rental car down the coast, “the finest car on Crete” we were told, today I recall those 28 days like a vivid daydream – I am often transported to a roadside stop – a humble and angelic grandma figure – my wife and child brought to tears over real Filoxenia(fee-lohk-sen-YAH) – the truth of Crete. But that was then. 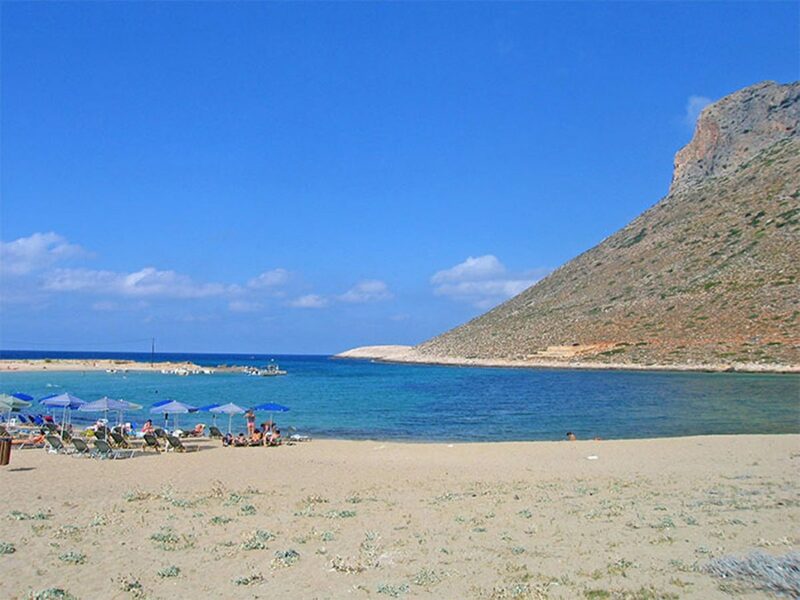 Let me tell you about tomorrow, and the real traveler experience Crete is famous for. Let me start my first travelogue, a story about expectations and dreams laid out to inform and tantalize the searching in you. My wife and partner told me on our second day on Crete in 2014, “Do whatever you have to do, but I want to live here.” Mihaela, this is my wife’s name, is not so predisposed for drama I assure you. So, I told the statement seriously – and not just because I felt the same way. But I digress. You can read about our past journey in dozens of places. You can even read about the experiences of friends we sent to Crete. But in April we are off to Chania first, a picturesque and fascinating coastal town Mihaela never had the chance to explore on our last visit. For reasons too complex to list here, my partner was busied with our company business and could not visit many places with the rest of the team. So this time we land in Chania (instead of Heraklion) so she and our son Paul Jules can “get” the Chania experience I got. Here are some choices we need help making, for the perfect mission to Chania province April 5th through April 12th. If you wanted to survey Crete for the best places to live, in and around Chania there are more wonderful sights, people, experiences and landscapes than you can shake a stick at. The one aspect none of us shared previously was old city living. So, I’ve done some due diligence searching out the best digs to soak up Chania from. 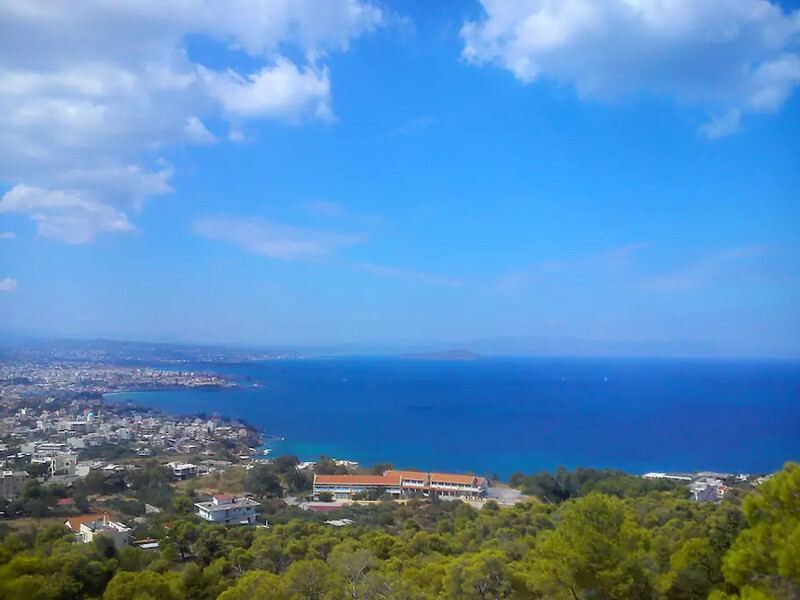 At first, I searched Airbnb for villas and even apartment rentals at Platanias and as far as Kissamos, but was especially focused on the Stavros area. Here are a few of the places I’ve found so far. A wonderful boutique hotel in a 600 year old Venetian family home, Casa Leone is idyllic Old Town charm in the middle of Chania’s “Venetian Quarter”. Just across the harbor from the iconic Turkish mosque, the 4-star hotel is a step beyond beautiful. If I had my way, we’d probably stay in the Casa Leone Suite here, which overlooks the lighthouse and the rest of the harbor. The hotel is almost always totally booked. So, the Honeymoon Suite is the only reservation left. This will not displease the wifey though (should I call now?). 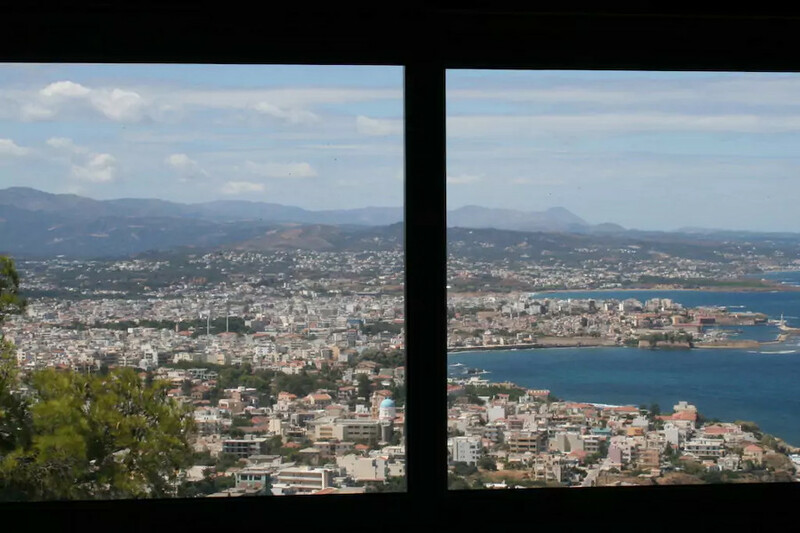 Not the least expensive stay in Chania, the pictures show the reason why. Just beneath this stylish hotel the food, smells, sights and sounds of one of Greece’s most dramatic places reside. 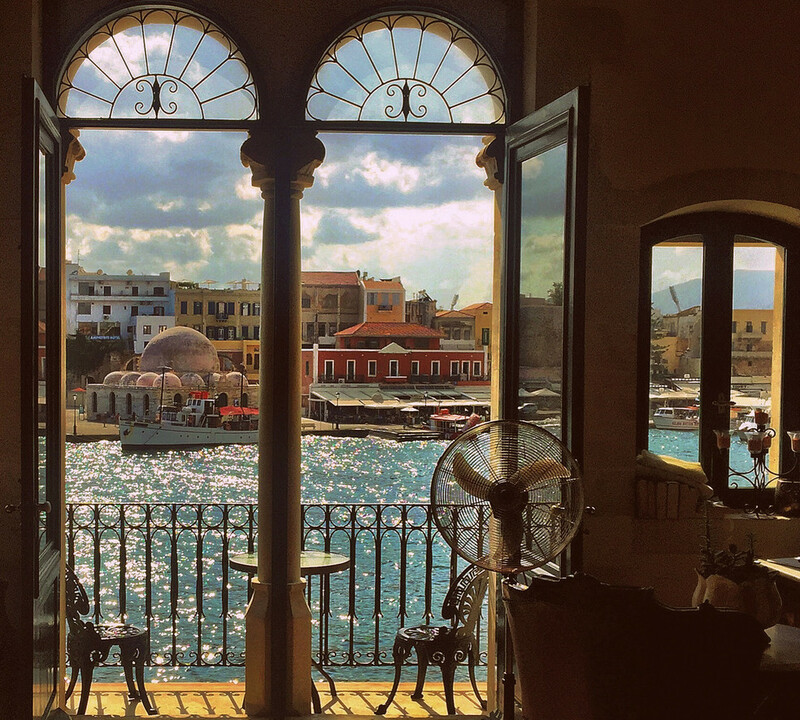 Cafes, shops, and the hustle and bustle of Chania’s market surround this wonderful hotel. This place is right out of a Hollywood classic. And even though Mihaela will protest my proclivity for fantasy stays (and prices), this is my first choice. A short walk from the actual beach where parts of the Anthony Quinn film “Zorba the Greek” was shot, Michael Villa Stavros is an upscale but traditional Cretan stone villa stay. This new property has all the comforts of a four-star hotel, along with the feel of the Crete countryside. 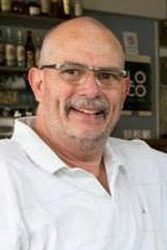 I already contacted Nikolaos the host, who was gracious as is customary on the island. This part of the Chania area is wonderful to be honest, the arid hillsides giving way to fabulous views of the Cretan Sea and the mountains in the distance. I guess “breathtaking” is not excessive praise for Stavros. As you can see from the image, the 4 Bedroom, 2 Bath villa is stunning. Just 200m from the Beach, the villa has manicured grounds complete with the traditional BBQ pit. 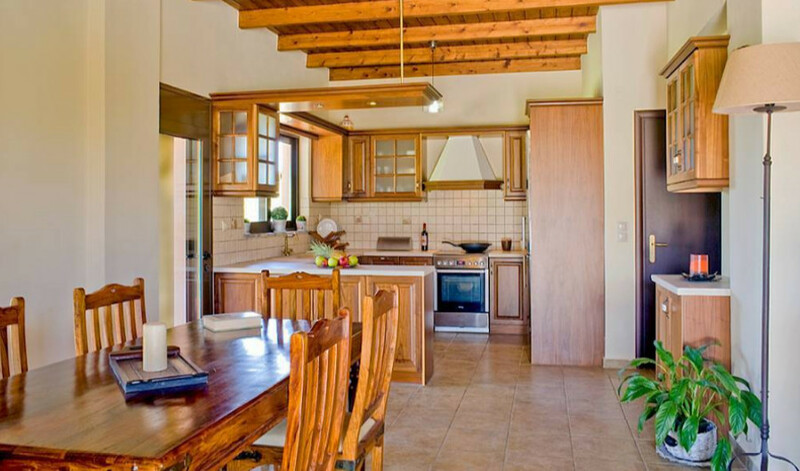 Mihaela will adore the huge kitchen, Paul Jules will play flying “Ninja Turtle” in the yard and down to the beach, and I will simply soak up the Cretan sun and dance like Zobra at night. The villa costs a lot less than Casa Leone, but the tradeoff of living like those Chania folks may not be a fair one for this leg of the journey. Please, let me hear your suggestions. After all, we don’t really need room for 8. 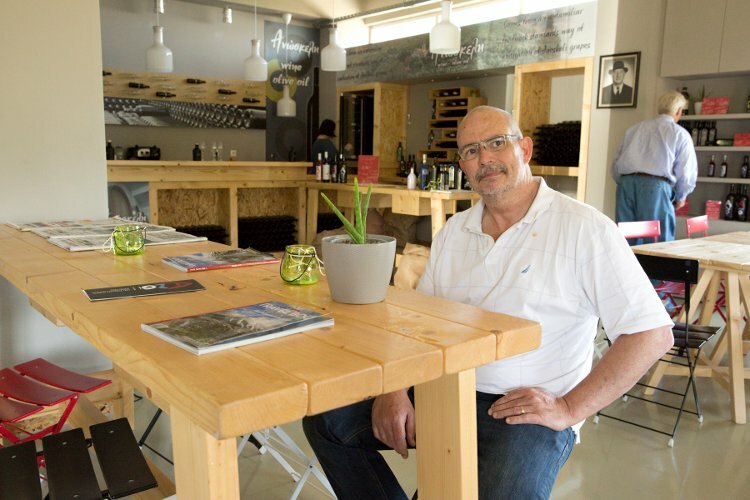 To contact Nikolaos, readers can visit Airbnb here. The Wild West of Crete & Chania Too! Newcomers to Crete are always awestruck at just how big the island is. Something a great friend, marketing guru Minas Liapakis of Eyewide Digital once said, reflects just how big nicely. “Phil, he began, I have lived here all my life. Each weekend I try and visit someplace new, and I have never run out of new discoveries on Crete.” So the temptation to try and take in too much is irresistible, especially for those who’ve discovered a new home. With this in mind, visiting the old city from the vantage point farther west has its merits. Kissamos, a town made famous by the magic of nearby Balos Lagoon, is situated on one of the most majestic bays (by the same name) I ever laid eyes on. Another Airbnb find, AKTI Villa & Studios a perfect front beach vacation spot, in the ideal location for exploring Chania and the beaches and villages of the wild and mountainous west of the island. Situated directly on the Bay of Kissamos, this enclave is reminiscent of the 60s and the days of “Jackie” Kennedy Onassis – I’d not be surprised to find that some Greek tycoon owned the place once. I corresponded already with the host, Niko about a larger group staying at AKTI. But it’s possible to just rent one of the studios for Mihaela, Paul and I. This is sea front living, come on! At a bit over €300 euros for the week, this may be the best value on the island. The lovely town of Kissamos is right down the beach, Balos is across the bay, and Falasarna and all of wild western Crete await exploration. To contact Lito, readers can visit Airbnb here, but the villa can be booked on Booking.com as well. One of the most wonderful things about my wife, though she is not aware I admire the quality so, is her pragmatic and down-to-Earth approach to everything. I alluded to the fact Mihaela is not enamored with my fanciful flights of luxuriant splurging already. While she appreciates the Furla purses I buy her, she also condemns me for the relative value €500 euro can bring at bill paying time. 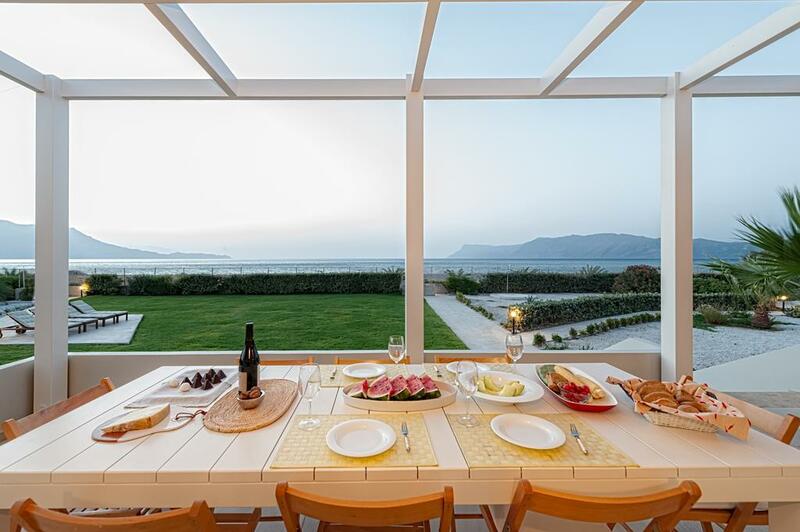 So you see, our quest for the pperfect Crete home (or vacation) presents a kind of paradox. That said, most people’s idea of the perfect Chania getaway may be totally wrong. Another Airbnb find blows the possibility up great big. 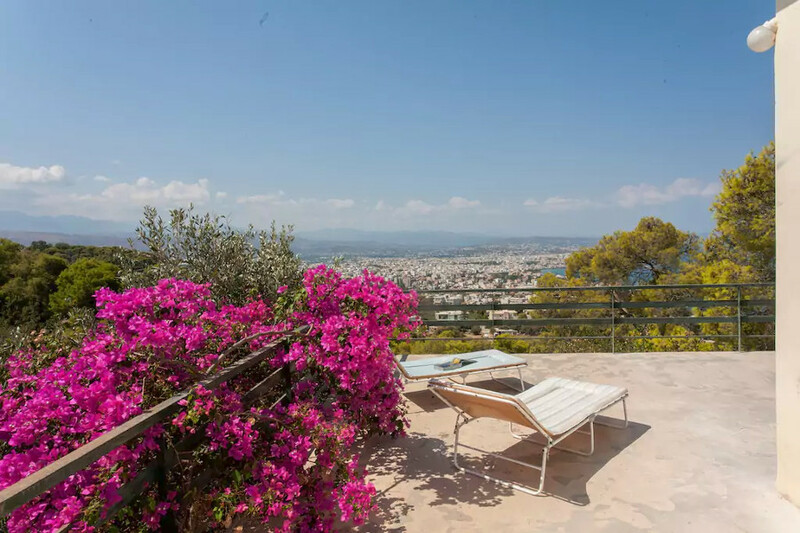 Villa Bouganvillea sits in the high hills overlooking Chania. Not far from the international airport or Stavros, this inexpensive little wonder may be the perfect city/country stay. Looking at the reviews on Airbnb this seems all the more probable, and the price is almost too good to be true. Surrounded by the nature Crete’s so noted for, and with views of the city, the sea and the natural surrounds, less than €300 euro for a week is crazy! The two bedroom, 1 bath villa is minutes from everything and light years away from it all. “Wow!” is my realistic response to me own apparent discovery. Host Judy (Τζούντη) has received nothing but stellar praise for her hospitality. If this one pans out I may just be a total Mihaela frugalness convert, seriously. It’s interesting to read Judy’s comments on this villa, as she owns the place and lives just beneath the upper terraces guests have exclusive access to. To contact Judy, readers can visit Airbnb here. 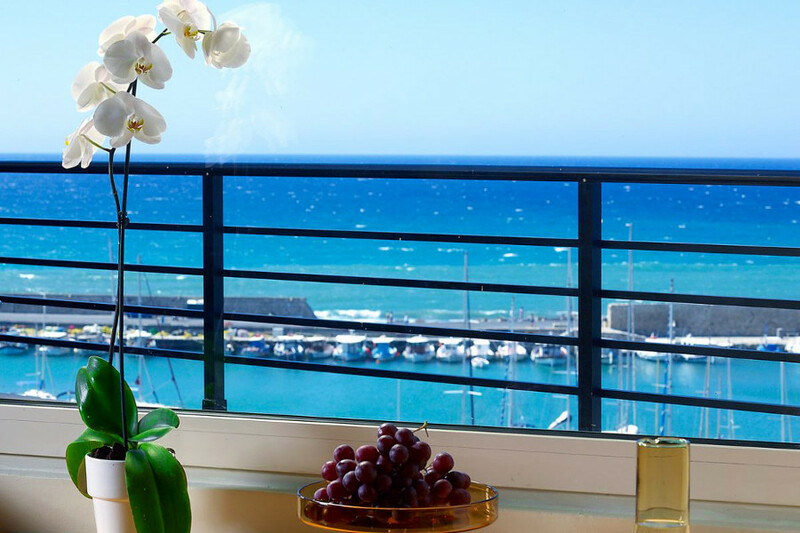 We’re still on the hunt for the ideal Chania stay, so don’t be shy about making suggestions. Next week I will begin the “week two” preview and search, though we’ve already booked part of the Rethymno leg of the adventure. Stay tuned for more Crete holiday magic to come.